Santa Clara Community is located on the I5 in the Willamette Valley Eugene, Oregon offers many neighborhoods for home buyers to choose from that fit their Real Estate needs. Eugene is known for Arts, Outdoors, Mild Climate, and Schools. The city of Eugene is an hour drive to the Pacific Ocean to the West or a hour drive to the Cascade Mountain Range. The city of Eugene offers the right Real Estate choice with local neighborhood communities such as Santa Clara River Road in Eugene. Santa Clara Community in North Eugene is a gateway to many farms. Many families love the ability to purchase local produce and play at the local farms that include Lone Pine and Thistledown Farm. These farms offer up a variety of family friendly fun during the harvest months. Haunted tractor rides, pumpkin picking and hay bail mazes are a favorite during this time of the year. Santa Clara Community in Eugene offers a wide variety between older established neighborhoods and newer developments. Many home buyers find Santa Clara River Road a great option when purchasing a home. Located near the Beltline Road for a quick commute to West Eugene or Springfield for employment. North of Santa Clara River Road is Junction City with employers like Guaranty RV and Winnebago. Santa Clara River Road offers quick access to Alton Baker Park to enjoy paths along the river. Another great park in the Santa Clara River Road area is River Road Rec Center. 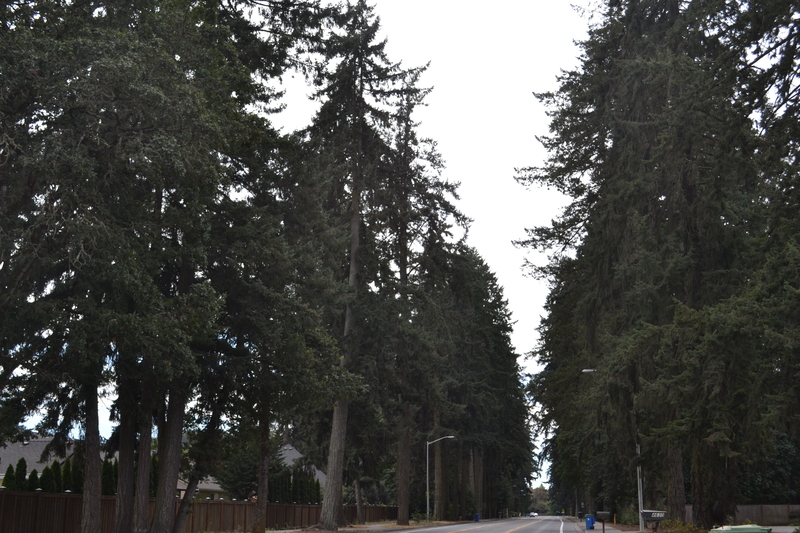 Santa Clara River Road in Eugene is a neighborhood that provides options at all price levels. While the city of Eugene is not the biggest town it offers variety and choice to home buyers looking to fit their lifestyle in a home purchase. Full of idyllic scenery and amazing area amenities, there’s so much to love about the Santa Clara River Road in Eugene neighborhood in Eugene! If you would like to know more about Santa Clara River Road in Eugene homes for sale, please contact area expert and real estate professional Nick Nelson for a well-informed and stress-free home buying experience. NEWER ROOF, HEAT PUMP, APPLIANCES, EXTERIOR PAINT & FLOORING ARE JUST A SOME OF THE UPDATES THAT CAN BE FOUND IN THIS LARGE WELCOMING HOME IN THE SPRING CREEK NEIGHBORHOOD. SKYLIGHTS & LOTS OF WINDOWS CREATE A LIGHT & BRIGHT KITCHEN & DINING AREA. KITCHEN OFFERS LARGE BREAKFAST BAR, LOTS OF STORAGE & INSIDE LAUNDRY. DUAL SINKS, SOAKING TUB & WALK IN CLOSET IN MASTER BATH. NICELY LANDSCAPED YARD, UG SPRINKLERS & MOVE IN READY! Immaculate single level home in Lee Estates. Many upgrades done by current owner. Shows an amazing pride of ownership. New kitchen cabinets, counters and cooktop range. New flooring, paint, window coverings. Large deck for entertaining. Electric awnings, fenced yard, RV Parking, tool/storage sheds and raised beds. Newer Hardiplank siding and roof. Storage cabinets in garage. Washer/Dryer, Refrigerator included. Call for private showing. Brand new, 3 bed, 2 ba, 1200 sqft with a contemporary floor plan. Open kitchen w/pantry & island, great room on main floor, 2 masters, one on each level, both masters have walk in closets, high ceilings, storage under stairs, low maintenance yard, inside laundry, 2 ductless heat pumps w/ac, interior fire sprinklers, solar ready, security system, fenced yard, landscaped, UG sprinklers. Due to be completed 7/1/19. Wonderful home conveniently located across from neighborhood park! The kitchen features an island with breakfast bar, pantry and delightful informal dining. Highlights of the vaulted living room include an attractive gas fireplace and views of the park. The master bedroom offers a walk-in closet, walk-in shower and access to the patio. You'll love the fully-fenced backyard with beautiful landscaping and a peaceful covered patio. Nice 3 bedroom 1.5 bath home with 2 car attached garage in nice River Road neighborhood. Home has a covered patio, Wood stove insert,Patio cover, raised garden beds, detached shed in backyard, RV parking with lots of room for parking. Super Energy efficient, light and bright home, great separation of space, large master with walk in closet, sky lights, detached large garage an extra 8 feet deep, new roof on shed, new roof on home 2 years ago, upgraded transformer- blower on furnace. New toilets, lots of flowers, fruit trees, landscaping,covered patio, carport. Well kept home in River road area.